One of the first questions a custom manufacturer or OEM asks before starting a large-scale marketing program is how to measure and ensure success on the sales side. At the end of the day, what really matters is that whatever time or money is invested in a content strategy results in new business for the company. Despite this, however, there is often a disconnect between marketing activities and sales. With the right approach, not only can marketing enable sales to be more effective in their efforts, but it can be more clearly measured and assessed as a component of an overall business development effort. The sales cycle for many custom manufacturers is long – at least 6-8 weeks and in some cases months or even years long. The better the deal, the longer it takes to make an impact and land the project. Even generating a sales-qualified lead can be an arduous process consisting of several meetings and follow-ups. At the same time, the pool of people from which you can generate new SQLs is fairly small. Your company likely has very specialized services, so you have a list of prospective companies you can contact when trying to generate new business. Unlike a lot of companies and industries, sitting back and waiting for a content marketing plan to kick in and attract new business isn’t necessarily efficient. But there are two things to keep in mind here. Engineers and technical decision makers don’t want to have calls with sales professionals when researching potential solutions. Especially younger engineers will perform research on their own, frequently on a mobile device while in the field. The sales cycle is long, and because of this, it can be difficult to remain top of mind when decision makers loop back several times over a few months. For this reason, the sales funnel has extended to the materials you put on the Internet, whether it’s your profiles on ThomasNet and GlobalSpec or case studies of recent projects on your website. These are resources that decision makers will look at, whether or not you’ve already engaged them in conversation. Awareness – Maybe your company is known for a certain type of service, or maybe a prospect doesn’t know you exist at all. Possibly, you’re solving a problem they didn’t know there was a solution for. Whatever the case, content that addresses the most common concerns and questions of your target prospects will attract new leads. Consideration – Engineers want to engage with vendors who can help them, who offer the information they need readily, and who understand how they engage with content and their partners online. Documentation, application notes, technical files – these resources help them when they consider who can help solve their problems. Decision – The decision making process is long. Content that keeps prospects engaged during this stage can help extend your sales funnel and keep your company top of mind with a large number of people, even if you have a small, stretched sales team. For a content strategy to work, though, you need to fundamentally understand whom you are writing for. Engineers don’t want to read heavy, marketing-influenced content. They want technical advice from people with a technical background who can support their efforts and provide key insights. They want to read about how your solution offers improvements in form, fit and function, and how it ensures the best possible results for their new project. Ultimately, if you create content that saves time, addresses these common problems, and builds trust with the technical decision makers in your target companies, you can extend your sales funnel and generate new leads that outbound efforts would not have been able to generate. 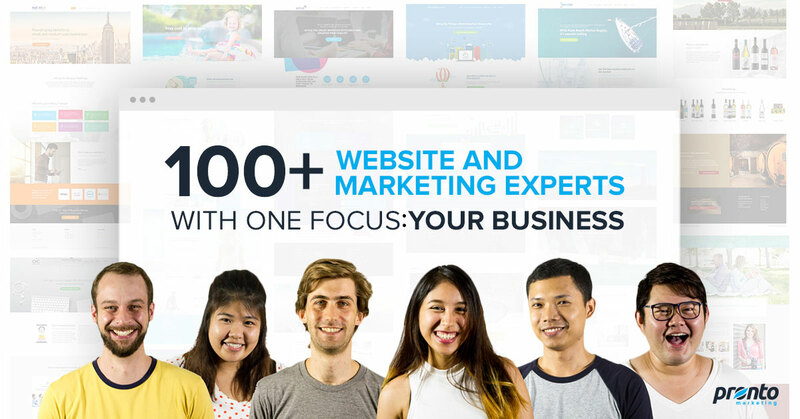 Want to take your Website & Marketing to the next level? With our Managed Website Plus & eStore offerings, we give business owners advanced website functionality typically available only to organizations with sizable in-house teams or those paying large sums for custom development projects. Schedule a call with one of our Pronto Experts and learn how we can secure your website so you can focus on your business.